During the course of our daily activities, we come across a lot of interesting and unique tools on the internet. Some tools that we’ve discovered help to speed up our workflow more or make life easier by not having to install a lot of different programs to complete simple tasks. While others are trying to solve a larger problem with a simpler lightweight solution, we seek out a streamlined methods to help get the job done. This month, a powerful tool we’ve run across is PhotoPea. What is PhotoPea? Well, it is pretty much Photoshop but in your browser (Photoshop online). That’s right! You can open up a PSD, XCF and even Sketch files in your browser using PhotoPea. 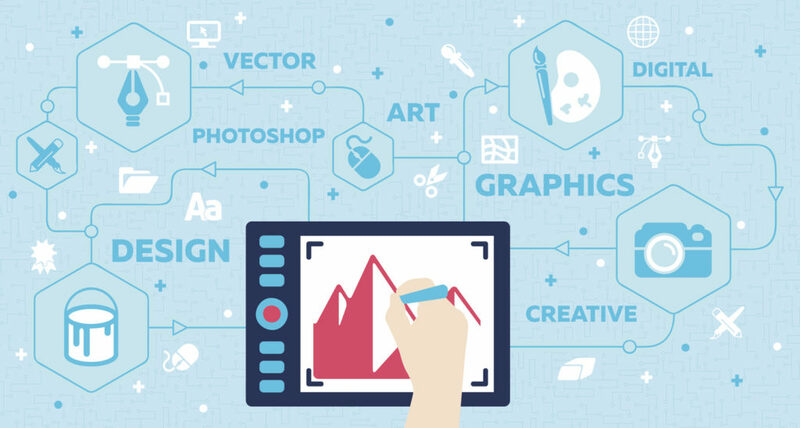 In addition, you can also work with image formats such as JPG, PNG, TIFF, SVG + more. This program has no affiliation with Adobe, but their main goal is to create the most advanced and affordable photo editor for the masses. It’s also completely free to use. We find this tool fantastic for a lot of reasons. One of the main reasons being that you do not have to have Photoshop installed on your computer anymore. As a group of designers/developers we pretty much always have access to Adobe programs, but what about a client or another co-worker who needs to quickly make an edit to an image? We just send them over to PhotoPea, saving us both time in the end. The program itself is very similar to Photoshop so if you are used to using Photoshop, you’ll quickly pick up PhotoPea. Now, we are not saying that we use PhotoPea in replacement of Photoshop or Sketch entirely from a UI designing standpoint, but it is a worthwhile tool to share with others who do not have access to Photoshop or Sketch. In addition, if you just need to quickly resize an image etc., PhotoPea will save the day. The app is also handy when you need to edit a PSD or JPG on the fly from a completely different computer.